I am going somewhere with this story – so stay with me a minute. I live in Evanston, Illinois – a city just north of Chicago on the shores of Lake Michigan. It’s a pretty urban suburb. Lots of restaurants and shops. Home of Northwestern University (where I work). If you live and work here, like I do, you almost have no reason to have a car. Everything you might want is within walking distance. 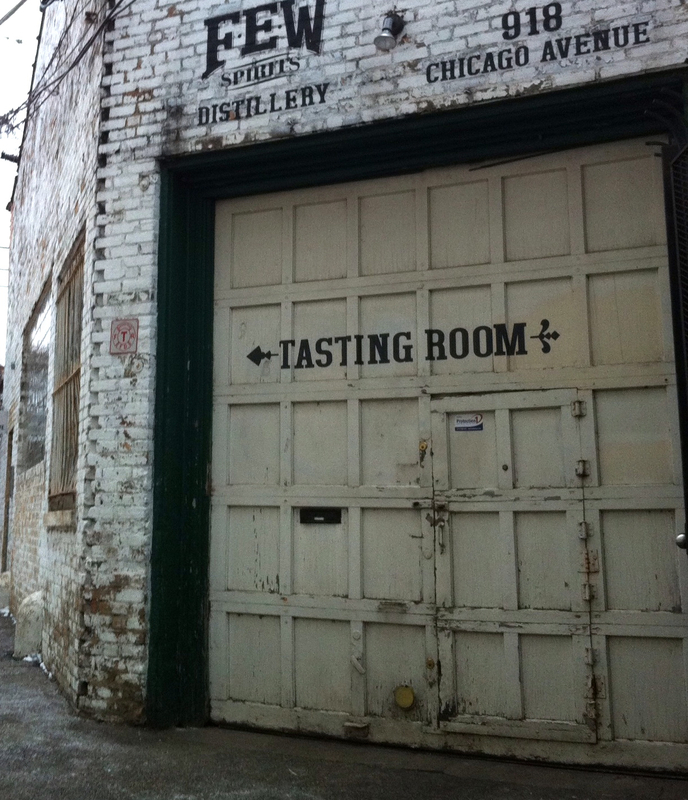 Including, for me, a micro-distillery two blocks from my house. 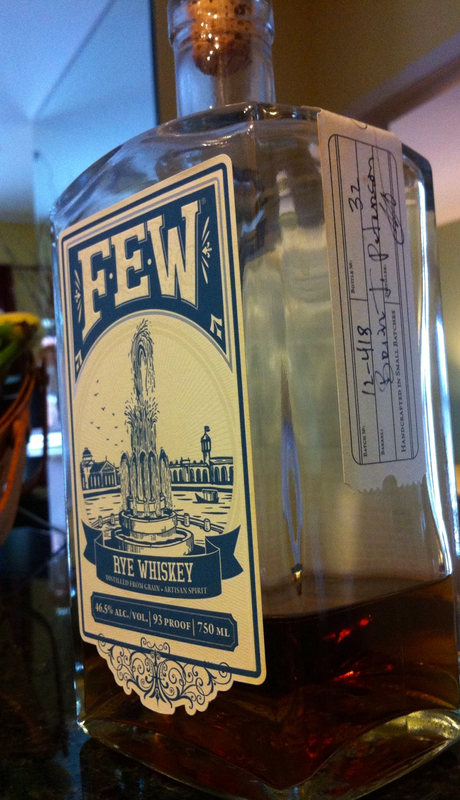 FEW Spirits opened not quite two years ago and is producing gin, rye whiskey and bourbon. The FEW name is actually taken from the initials of one of Evanston’s most noted residents – Frances Elizabeth Willard. From her home near the Northwestern campus during the late 19th century, Willard was an incredibly influential leader in the women’s suffrage movement, a reformer and activist supporting progressive labor laws, and as long-time president of the Woman’s Christian Temperance Union one of the principal voices advocating for prohibition of alcoholic beverages. “Two out of three isn’t bad,” commented the leader of FEW’s marketing efforts. So how do I get from whiskey to etmooc? One of the questions I had in mind when I started #etmooc (and shortly, #edcmooc) was how I might visualize the change in my own personal learning network as a result of my activities. I conceptually understanding that the value of a PLN is more than just the number of people I follow or interact with – that it also has to do with the diversity of my network; the number of communities I bridge; avoiding a life in an echo chamber; and the richness of the relationships that may evolve as a result of my online actions. But how do you visualize that in a way that helps you see growth and change (quantitatively and qualitatively)? So I found it really interesting that one of the blog prompts for #etmooc participants to consider as part of the connected learning discussion was: What does my PLE/PLN look like? How can I share it? What I learned was this. I was on the hunt for a tool, or set of tools, that would allow me to create a network diagram that characterized all of my relationships so I could see change over time. Personal social network analysis through a learning lens. Now that would still be valuable. But I’ve come to see another way of thinking about PLNs. Hand crafted. Just like what they’re doing at FEW. This came to me as I was scanning other #etmooc bloggers who where sharing how they visualized their PLNs. Margaret Powers went through a series of iterations and landed on a hand-drawn visualization. Rodd Lucier talked about his “personal learning neighbourhood” and used a video to share his explanation. I saw several other posts in which the authors hand-drew their PLNs, or shared another image that was less “technical” than I had imagined. They were all literally hand crafted. And the more I thought about this, the more I began to think about slowing down a bit to simply enjoy the journey of mastering the craft of PLN making. In the past several weeks I have taken time to select people who I want to officially include in my PLN. I add each person to a separate (private) Twitter list, Google+ circle and RSS feed (I do also include some content aggregators). If I find someone whose work I am inspired by, or with whom I am developing a more connected relationship, I add them to my PLN lists. At the same time I am continuing to work at connecting with new people and sharing what I know. My full network is much larger than my PLN and I clearly want it that way. It’s the only way to continually build new relationships and connections that matter to me. 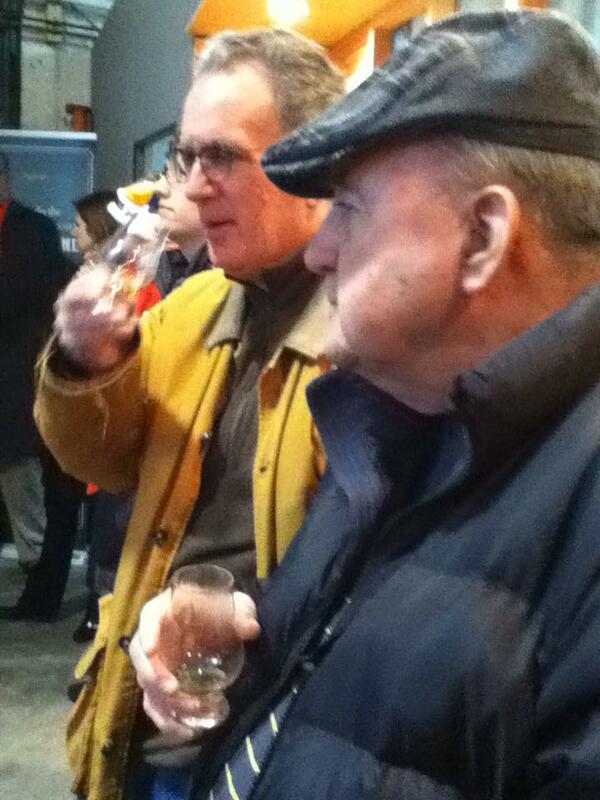 But I am thinking more about being the master distiller of my own PLN. Crafting it to my own taste and learning from the adventure. Think I need to sip on that thought for awhile. More on my MOOCing experience. Thanks for sharing your perspective Jeff! I really like the idea of a PLN being conceptualized and even defined as “hand crafted.” It’s personal instead of generic or overly-organized and it seems to capture the unique, specific nature of a PLN – the way that it’s formed around one’s own interests, passions, experiences and relationships with others. I also appreciate your approach to building a PLN that is distilled and sculpted just for you while simultaneously maintaining and growing a larger network that allows you to connect with “weak ties” and take in new ideas/perspectives. Thanks Margaret. It will be interesting to see how all of this continues as I continue to add and refine my list. Still on the hunt, though, for something that can give me more insight into my PLN structure. But your post really did contribute to my just deciding to step back and enjoy the process. I love it! Hand crafted sounds way more personal than PLN….. And thecleversheeps personal learning neighborhood is wonderful reiteration of the idea. I like that “network” has bounced from a local community, out too the broader Internets, and now back to a smallish community that includes those close at hand. Thanks Todd. Love the piece on the CyberSalon! Thanks for sharing it. I teach graduate students — so our classes are always in the evenings and we sometimes bring food, etc. Thinking outloud – maybe I need to try a couple of weeks of CyberSalon style classes? That’s be cool. sure, and invite some others in? The page with the “Digital Salon Spaces” http://informallearningnetworks.wordpress.com/digital/ has some images of folks being beamed into a couple graduate courses. Good opportunities out there!